The Peruvian Highlands, consisting of the northern, central, and southern Sierra, as well as the region of Altiplano, are home to some of the world’s most spectacular sights. 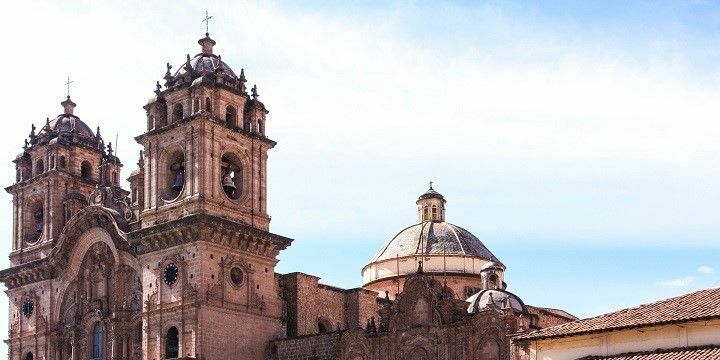 They range from breathtaking landscapes, like the Andes Mountains, to incredible historical and cultural landmarks, like Machu Picchu — also known as the “lost city”— and the islands of Lake Titicaca. Considered to be the capital of the Inca Empire, and one of South America’s most important archaeological sites, Cusco is not only the main port of call for most Machu Picchu visitors, but also an incredible sight in itself. At around 3,400 meters above sea level, it’s one of the world’s highest cities, and a UNESCO world heritage site. Take your time to explore the city, immerse yourself in the ancient history, and enjoy the colonial Spanish architecture. Also, don’t miss out on the opportunity to browse the local artisan creations, and lively stalls of San Pedro market! Spend some time at the Plaza de Armas in Cusco. Be sure to visit the Convent of Santo Domingo and Coricancha, also known as the Inca Temple of the Sun. The latter was the most important and most sacred building in the entire Inca Empire, but was mostly destroyed by the Spanish conquistadores in the 16th century. Today, visitors can only see certain remnants of the previous building, which became part of the Convent of Santo Domingo, built in 1650. Every day, thousands of travelers flock to Machu Picchu, one of South America’s most recognizable attractions. The famous ruined city, located on a 2,430-meter-high ridge, is a true archaeological gem. 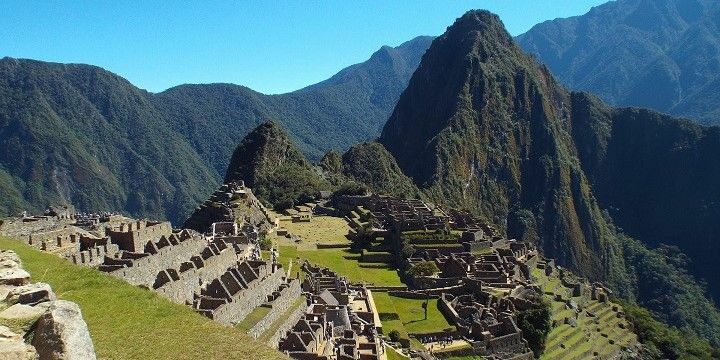 Machu Picchu is one of South America's most recognizable attractions. Whether you’re embarking on the full hike of the Inca Trail — which starts in Cusco and takes four to five days — or spending the day taking in the ruins, any time spent in and around Machu Picchu will be truly magical. However, while planning your trip, keep in mind the government’s tourist regulations, which aim to preserve the historical site. The Peruvian Highlands are great for hiking. If you’re an enthusiastic hiker, you might want to consider exploring one of Peru’s many other Inca Trails. The Inca road system stretches approximately 40,000 kilometers, including many less-traveled routes. The Lares Trek, for example, will take you through the Lares Valley, and up to heights of 4,750 meters (even higher than Machu Picchu), passing indigenous villages and farmland along the way. While busy Cusco is a popular starting point for trips, Ollantaytambo is a calmer alternative, and only one hour from Machu Picchu. Consider staying the night before your trip, enabling you to beat the crowds by getting up to the sight before the busloads of tourists arrive. 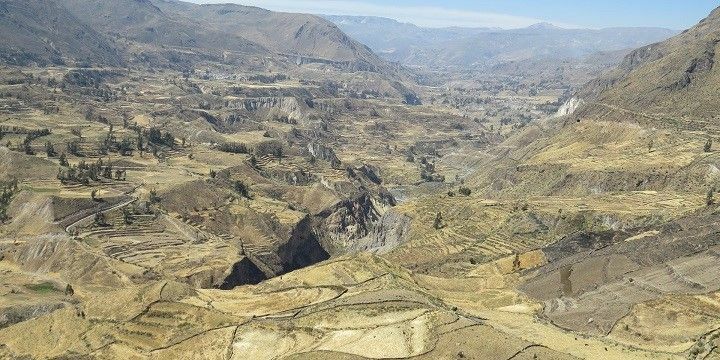 You also might want to stay for an extra day or two, and explore the picturesque ancient town of Ollantaytambo, enjoying the narrow, cobbled streets, and tasting the local delicacies. Lake Titicaca — South America’s largest freshwater lake — lies on the border between Peru and Bolivia. It’s famous for its ancient history and striking views, and even holds a world record for being the highest commercially navigable lake in the world, with a surface elevation of more than 3,800 meters. Be sure to visit one of the floating islands on Lake Titicaca. 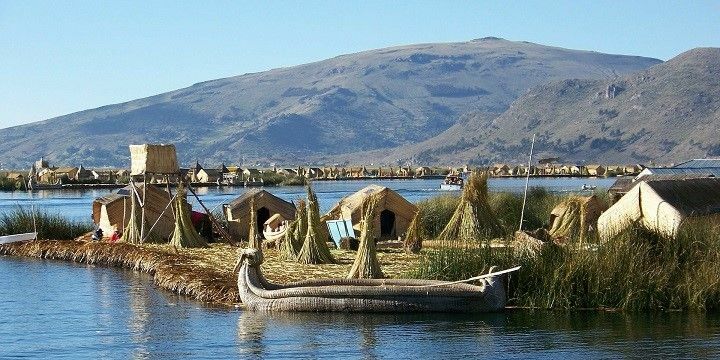 Be sure to take a tour to the floating islands of the Uros, an indigenous group living on Lake Titicaca. They have set up their homes on a man-made floating island, hand-woven from totora reeds. Alternatively, you can venture further into the lake, and embark on a longer tour to visit the Taquile Island, which is located about 45 kilometers from the town of Puno. The island spans less than six square kilometers, and is home to around 1,700 Quechua-speaking locals. They’re famous for their beautiful and high-quality weaving and embroidery. If NextStop24 helped you to choose your next travel destination, we'd be very grateful if you’d search for your accommodation and things to do in Peru through these links. They're affiliate links, which means that we will receive a small commission for every booking made through them. There are no extra costs for you; you'll simply be helping to keep NextStop24 running. Thanks! The best travel of my life. Everything was amazing: from the pristine landscapes of Colca Canion, the incredible duns of Huacachina, the white town of Arequipa and the lack of oxygen that assails you when you come from the ocean coast, sleep in the typical house of Titicaca lake inhabitants (have dinner wth them bee hosted in without-roof rooms!) and admire the beautiful architecture of Cusco, the white place of Maras Salines and the 5100 m hight multicolor Rainbow Montains..And of course Incas ruins and Machu Pichu. The climb to Wayna Pichu at 6 in the morning , the clouds that left place to sun on the ruins, was my BEST MEMORY of this fantastic travel.